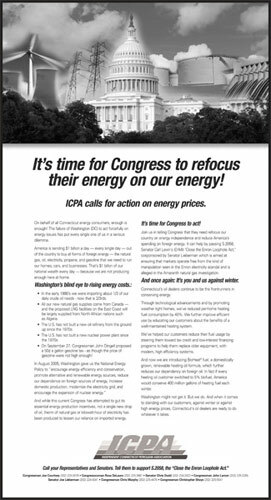 In 2007, we were asked by a consortium of nine state and regional associations affiliated with the National Oilheat Research Alliance in Washington D.C. to create the Energy Communications Council ‹ a public relations co-op whose mission was to promote and defend Oilheat. What began as a fairly straightforward public awareness effort quickly became a full-on defensive game. The Iraq War, aka the Second Gulf War, dragged on and tensions in the OPEC world festered. The cost of oil skyrocketed from $35 a barrel to over $100 a barrel and home heating costs went through the roof. Biofuel researchers struggled to develop a workable formula for blending soy-based fuel with fossil fuel, while detractors blamed rising food costs on biofuel¹s burgeoning demand for soy, corn, and other grains. Global warming and the movement to reduce carbon emissions pointed fingers at Oilheat as well. Consumers, faced with excruciating prices, a nation at war, and environmental worries fled in droves to natural gas, propane, and firewood ‹ and the pellet stove industry was born. In all, a very interesting public relations game. 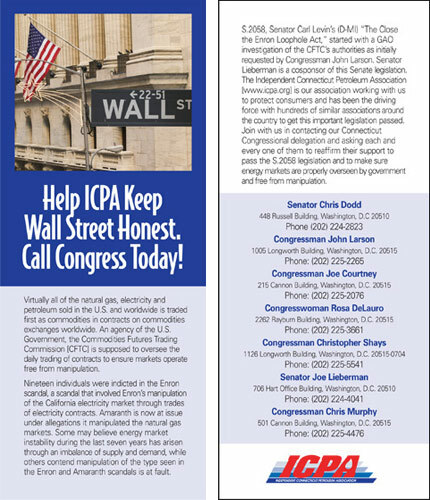 But we were able to move the ball down the field, particularly in terms of informing the public and decision makers in the Capitol about the connection between high fuel prices and Wall Street speculation.